After a crazy few months of moving, unpacking and reorganizing an entire house, I'm happy to say that we are finally ready to start entertaining. This past weekend we invited a few of our closest friends over for a small dinner party. We started the evening with cocktails in the "lounge" featuring Basil Hayden's Bourbon. This premium bourbon is aged to perfection and offers a spicy-sweet flavor profile. 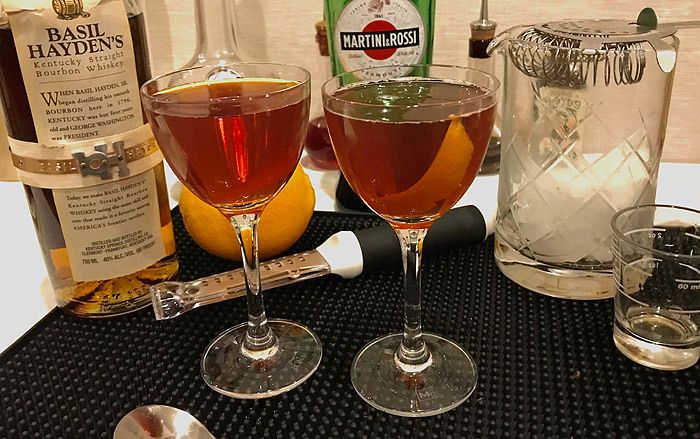 Our cocktail of choice for this occasion was a Saratoga Cocktail. When mixing drinks the tools you use are equally important as the spirits. 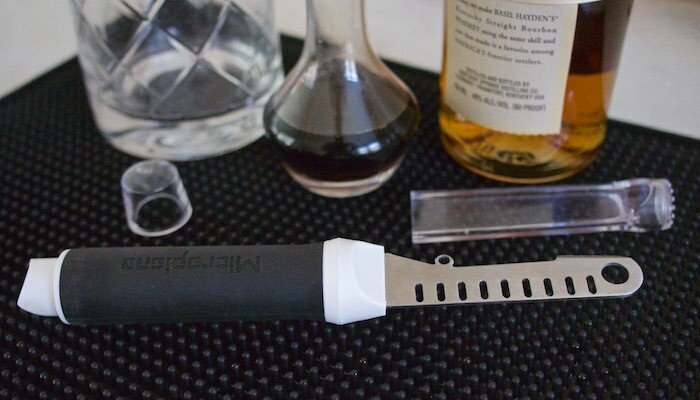 That's why I love our new Microplane 7-in-1 bar tool. It should be a go-to for any at home mixologist; making muddling, scoring, peeling and garnishing drinks super easy. 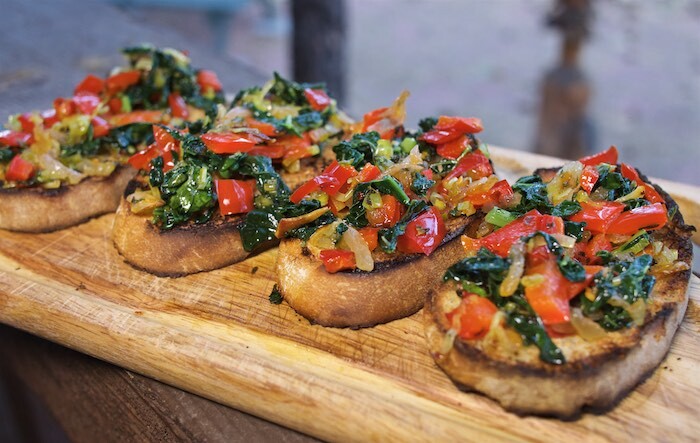 Our appetizer consisted of a mix of fresh vegetables, from our local Sprouts Farmer's Market, served on crusty bread. (recipe) I love that our new home is relatively close to a Sprouts; which makes keeping my kitchen stocked with healthy foods that much easier. Dinner was a hearty plate of Apple Cider Vinegar Braised Pork Shoulder (recipe); pork shoulder and carrots allowed to simmer for hours in my beautiful new Anolon, 7 Qt Dutch Oven. 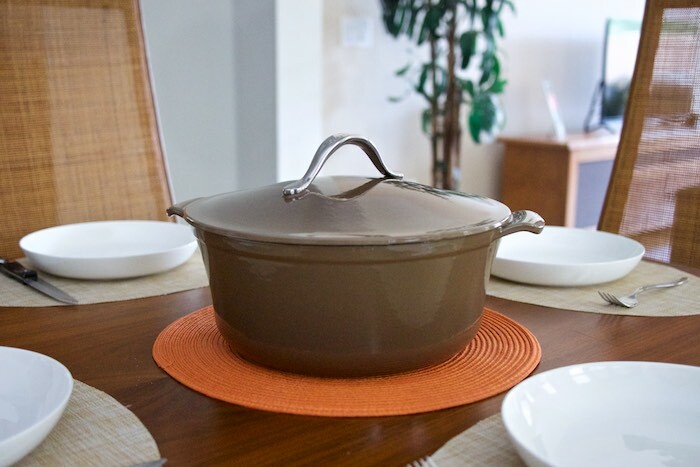 This elegant pot merges cast iron’s superior heat absorption and retention with distinctive stovetop-to-oven-to-table style and performance making it a wonderful showpiece on our dinner table. We love the everyday dishes we got at Macy's. 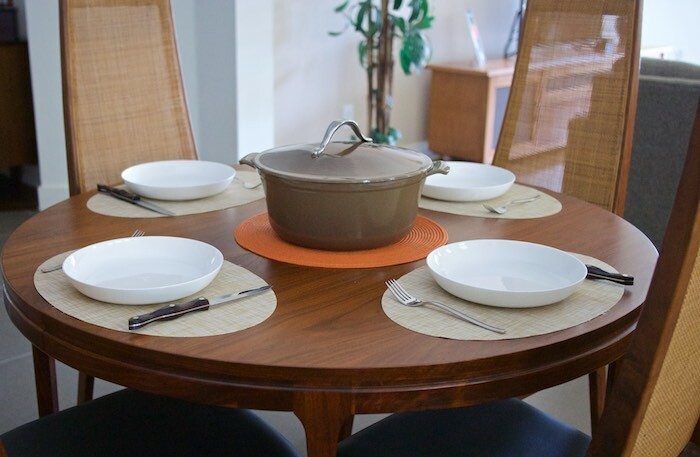 Their Hotel Collection Coupe dinnerware are affordable, classy and scratch resistant. 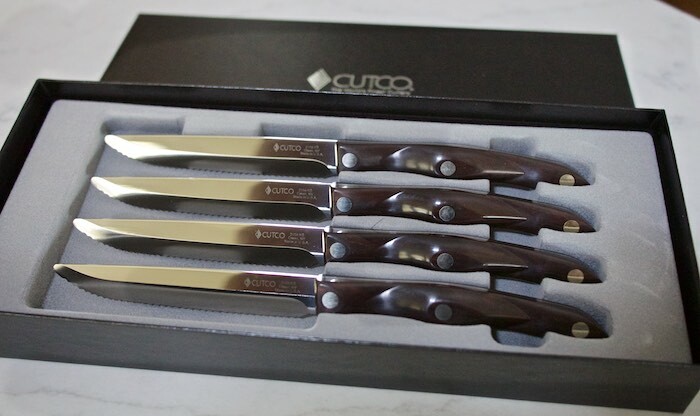 But the star of our table setting was our new steak knives from Cutco. These all purpose knives look stunning on the table, slice food with ease and are guaranteed for life. We finished off the evening on a sweet note. 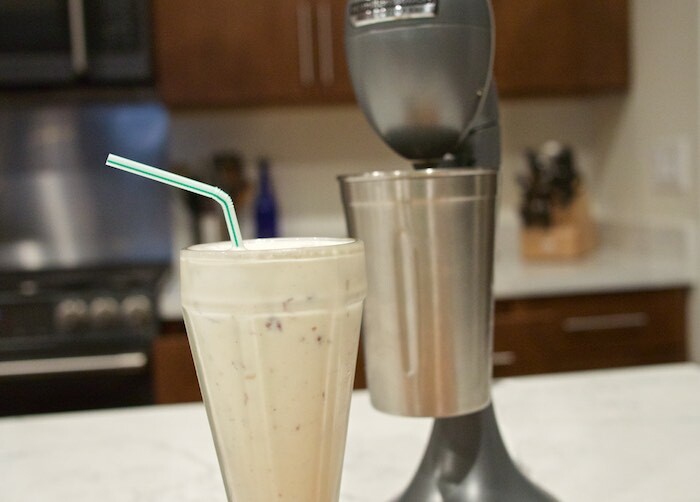 Using our new Hamilton Beach Drink Master we whipped up some boozy bourbon milkshakes for our guests. The versatility of two speeds makes this an ideal small kitchen appliance that can be used for whipping eggs, makes healthy shakes and fun treats. Outfitting a kitchen with new utensils is a fun and easy way to create a memorable dining experience for you and your guests. Plus it makes for great conversation! Those knives are beautiful! I need a new set of knives. And congrats on moving in! That is a beautiful Dutch oven! Great giveaway! Congratulations on the move! I love the dutch oven and always love a great set of knives. I absolutely love these plates and knives. It's so great to have a house of your own and not to pay rent to someone else. Congrats on your purchase! Congrats on the new house, I love that pot, it is really nice and i love the color of it! I kinda need the Hamilton drink master. That thing looks awesome, now I want to make a milk shake.